ANNOUNCEMENT: Due to inclement weather and unsafe travel conditions, tonight’s performance is CANCELLED. We will present the same comics at our April 10th show – you may return your tickets to point of purchase for a full refund, or they will be honoured on April 10th. Stay safe & warm! Work your abs Wednesdays with hump-day hilarity! 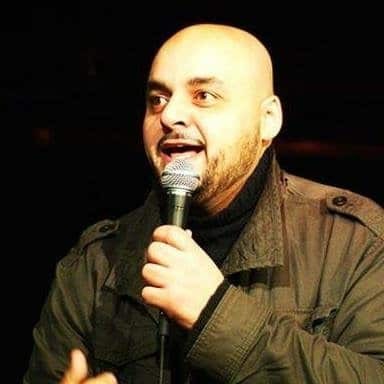 Nader’s one of our favourite KW funnymen, and we’re happy to have him back to host Comedy@The Registry. Hunter Collins is North America’s foremost nincompoop comedian. 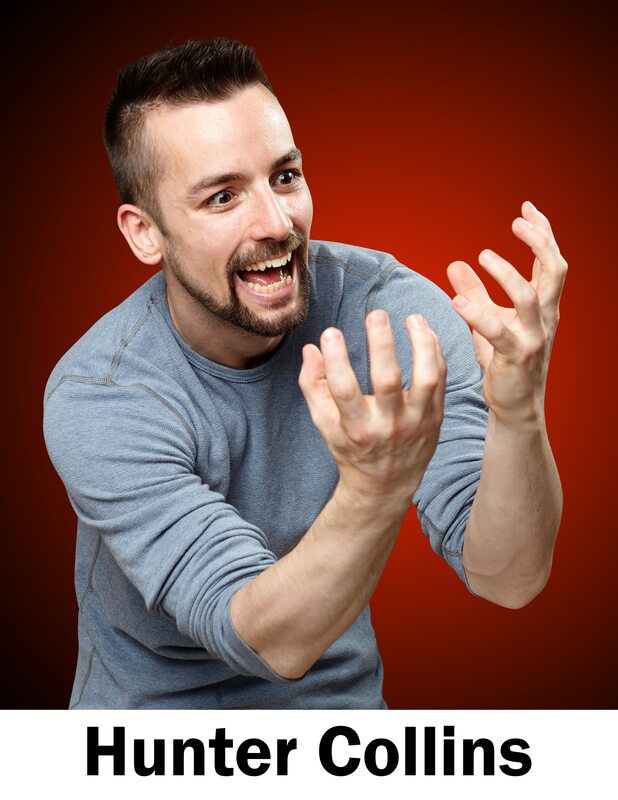 Originally from Montreal, he has graced the stage at countless illegal baby-fighting rings and festivals including JFL42, The Halifax Comedy Festival and The Edinburgh Fringe Festival. He recently hosted the 18th annual Canadian Comedy Awards and his latest comedy album “Nincom2oop” debuted at #1 on the iTunes comedy charts. 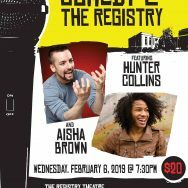 Aisha Brown is known as one of the top 3 Aisha’s in North American stand-up comedy. 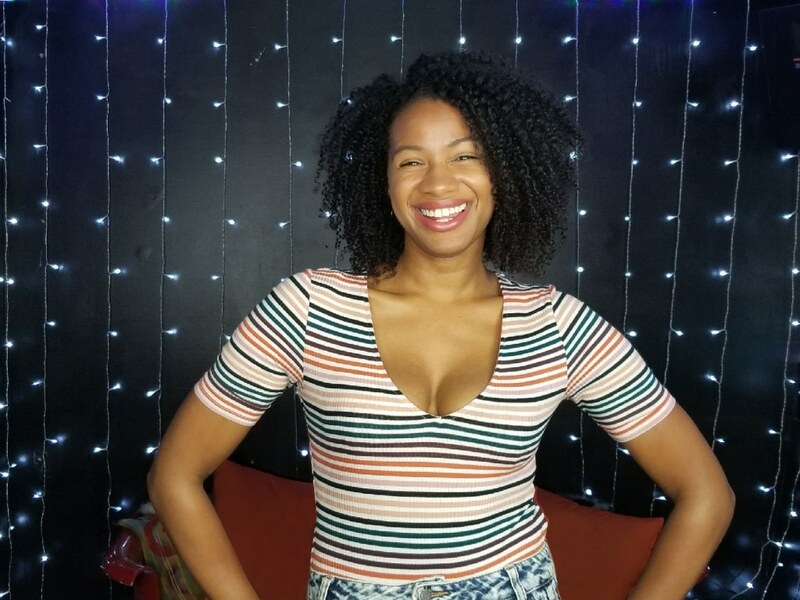 In 2016 she debuted at Montreal’s renowned Just For Laughs festival taping an All Access televised set, and as a featured performer for Kevin Hart’s LOL network. Last year Aisha opened for SNL’s Michael Che at the Danforth Music Hall, and The Daily Show’s Roy Wood Jr at JFL42. She’s also performed at Montreal Sketchfest, the Field Trip Festival, the Guelph Comedy Festival and the Kitchener Waterloo Comedy Festival. Aisha has written for CBC Comedy, Baroness Von Sketch and has been featured on CBC Radio’s The Debaters and Because News. She’s also written for and has been featured on The Beaverton. Aisha has also released 2 albums with Toronto hip hop comedy collective Runnin’ At The Mouth.